Earlier today I posted a review of the Denver Black Sky 2014 festival, which I had the pleasure of attending last weekend with a fine group of old and new friends. I was already a fan of most of the bands on the two-day line-up, but the festival also introduced me to some excellent new discoveries. And two of them were the first two groups we heard on August 2 — Khemmis and Gomorrah. If I had time, I’d write about more of the bands I heard for the first time in Denver, but I damn sure wanted to say something about these two, because they made such a memorable beginning to such a great weekend of music. The EP consists of three songs, and they’re just as arresting as the band’s live set. The rumbling, gargantuan riffs are heavy enough to crack pavement, the drum work is bone rattling and pinpoint-precise, and the melodies are awfully seductive. Vocalist/guitarist Phil has a good high, wailing voice and a harsh one that’s pure acid. But what really made an impression on us at the show, and what stands out in the songs, too, are the guitar solos (which alternately squall and drift like smoke) and the dual-guitar harmonies. 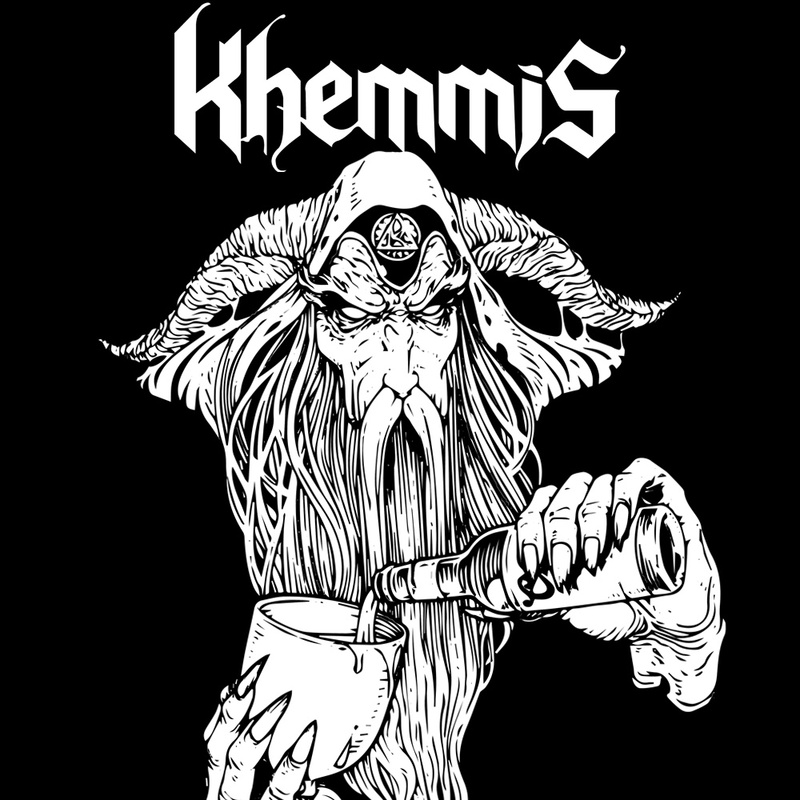 They put a cool twist on the slow, sludgy stoner/doom that’s Khemmis‘ meat and potatoes. Check out the EP below; it’s available for name-your-price on Bandcamp. 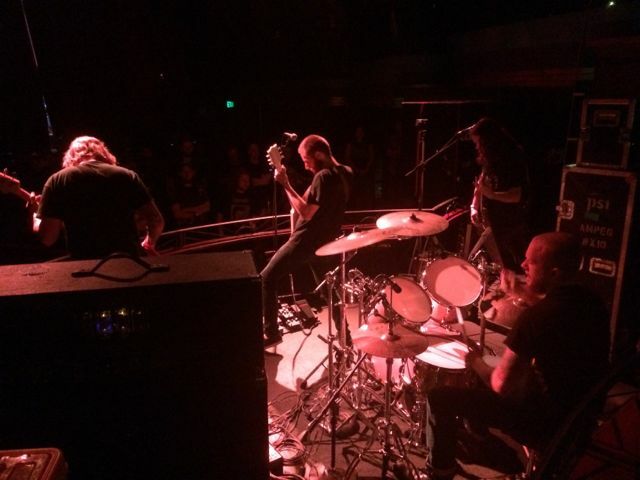 I don’t think I’m ever going to forget listening to and watching Gomorrah at Denver Black Sky. Almost from the very beginning, they left me and my friends wide-eyed with wonder, with big stupid grins on our faces, holding up invisible oranges, and head-banging like crazy people. It was as if we had been transported back in time to the metaphysical vortex in which the spirit of heavy metal was first spawned. But all that happy delirium we experienced wasn’t just the result of the devilishly good metal. It was also attributable to the fact that the music was being generated by three guys who couldn’t have been older than 19 (Metal-Archives lists guitarist/vocalist Gabriel T. Slaughter’s age as 18). There was something endearing about hearing the bass-player reminding the crowd to tip the bartenders. They’ve produced three EPs — on tape, of course — with the latest being 2014’s No Future. I was hearing Gomorrah’s music for the first time at the festival, but having now heard No Future, I think that’s where most if not all of the songs came from. I’ll also never forget when and where I first heard that EP — in the tape player of my 12-year-old car bombing toward Seattle from Sea-Tac airport on my way back from Black Sky with my friends BadWolf and Matty; I’d forgotten the car even had a tape player. 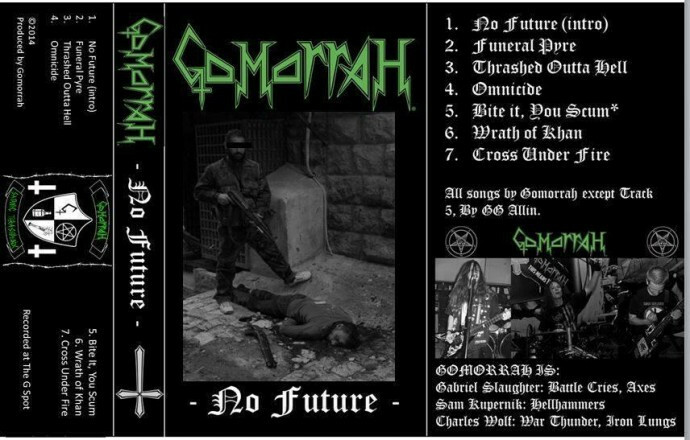 Gomorrah’s music is a super-hot blast furnace of blackened thrash, loaded to the brim with infectious riffs and driven by a snare-heavy drum assault and a lot of snarling punk attitude. 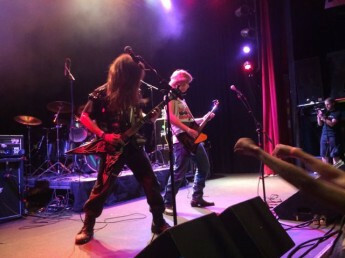 It’s rough, raw, rampaging, and it switches things up with head-slugging chugs and a healthy dose of Motörhead– and Venom-style rock ‘n’ roll. On the EP you’ll also get a taste of Gabriel T. Slaughter’s eye-watering solos (check out what he does on “Thrashed Outta Hell”), which were really something to see and hear in the flesh. He’s also got a thoroughly raw, rancid, evil vocal delivery that I’d be tempted to call “alcohol-fueled”, but for his age and the fact that his fingers move like lightning. As soon as I got home last weekend, I downloaded Gomorrah’s EP on Bandcamp (already owned Khemmis’!). I too was blown away by their performance. Gomorrah sounded great when you shared them earlier. Didn’t know about Khemmis before though, and I’m liking them even more. It’s tough for Khemmis to get the word out. The members have jobs, families, and graduate school commitments that make touring unrealistic. I hope this post helps more people discover them. Gomorrah rules! Thanks for coming to our fest. Glad you had a great time.